It’s unusual for Lazarus the cat to miss a meal. 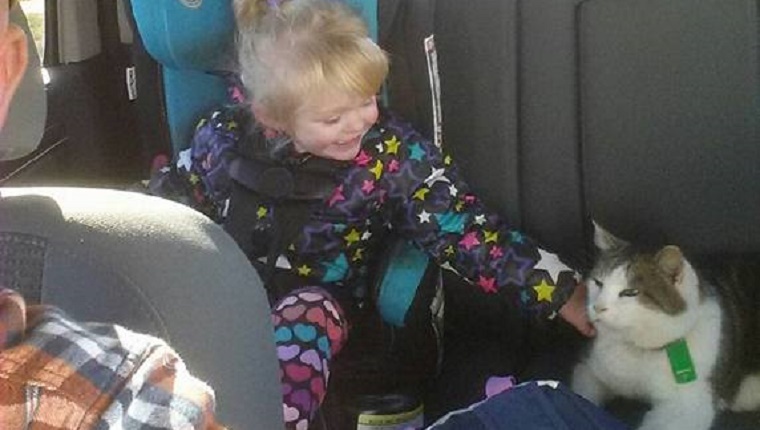 So when dinner time came around and he was nowhere to be found, his owners, the Finley family, knew he must be lost. 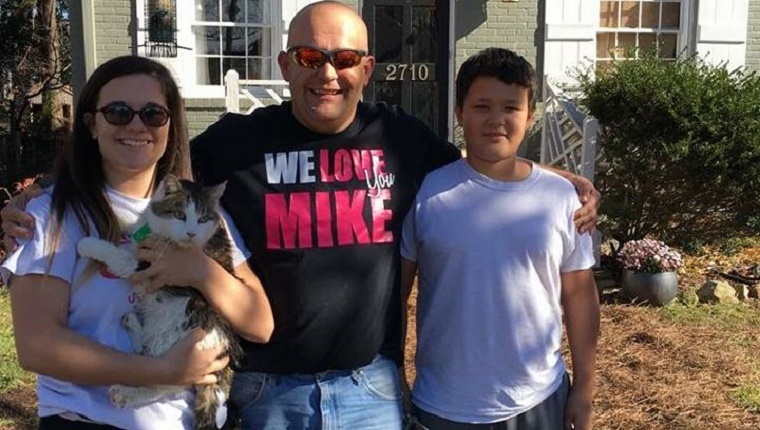 They had no idea just how lost he was because a few weeks later a friendly, scruffy cat showed up in the Wayland Heights neighborhood of Raleigh, North Carolina, more than 700 miles from the Finleys’ Illinois home. This kitty newcomer was eager to get pets from everyone he could, and residents were starting to refer to him by names like Randy, Squeak, and even Rhonda. Finally, a concerned stranger, Annetta Hoggard, brought the cat to the vet for a microchip scan, which revealed that he was from Wayne County. Hoggard thought the cat was from Wayne County in North Carolina, but when she called the number given by the microchip, she was shocked to find that the cat’s home was really in Wayne County in Illinois. The Finleys packed up and made the road trip over the Smoky Mountains to North Carolina to pick up their cat. Lazarus was happy to get home and enjoy his long-missed dinner, but he’s not telling anyone how he managed to make the 700-mile journey to North Carolina. Roy Finley has a theory that the cat hopped in the car with some hunters who had traveled to Illinois recently to hunt deer and jumped out when they got to their home state. Whatever the case is, the Finleys are happy to have Lazarus back after quite an adventure. How do you think Lazarus managed to travel all that way? 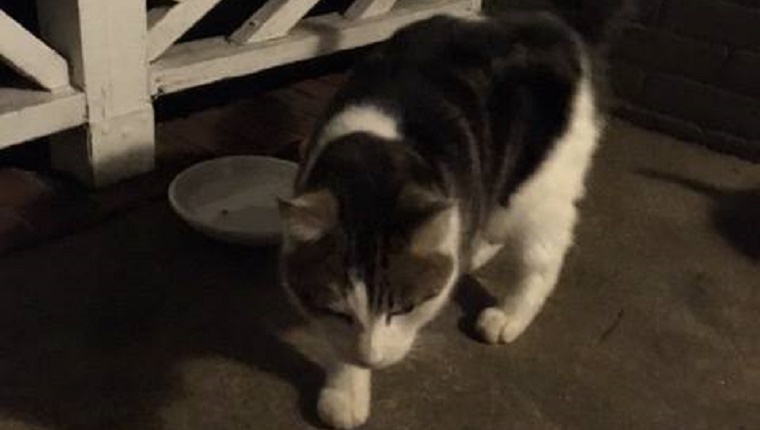 What would you do if you found a cat 700 miles from home? Let us know in the comments below!